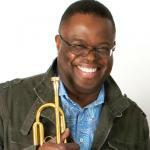 Sign up for Broadjam today to follow Orbert Davis, and be notified when they upload new stuff or update their news! 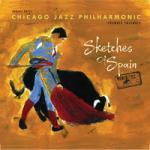 Sketches Of Spain [Revisited], is an orchestral transformation of the 1960 iconic original by Miles Davis and Gil Evans. 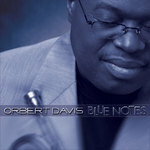 Orbert's third effort includes performances by tenor sax guru Ari Brown and jazz vocalist extraordinaire Ms. Dee Alexander. As part of its ongoing efforts to honor and support military personnel and veterans, Boeing Company, in partnership with the Chicago Bears Football Club, the USO of Illinois and the Chicago Jazz Philharmonic, launched "Home & Away," an initiative that extends the Boeing-Bears "Salute to the Military" in-game recognition that occurs at all Chicago Bears home games. CHICAGO, Nov. 6, 2012 - As part of its ongoing efforts to honor and support military personnel and veterans, Boeing [NYSE: BA], in partnership with the Chicago Bears Football Club, the USO of Illinois and the Chicago Jazz Philharmonic, has launched "Home & Away," an initiative that extends the Boeing-Bears "Salute to the Military" in-game recognition that occurs at all Chicago Bears home games. 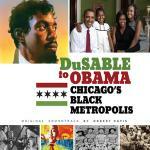 The musical score was composed by jazz musician and Emmy Award-winning composer, Orbert Davis, performed by Chicago Jazz Philharmonic, and was commissioned by Boeing specifically for this purpose. 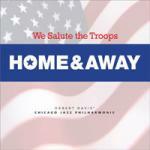 The Home & Away musical suite consists of three pieces: "The Star Spangled Banner", specially arranged for this recording, "Our Salute" and "The Face of the Enemy is Always Changing." 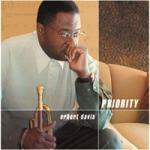 The music will be available for download on iTunes and at www.chijazzphil.org/homeandaway. It will also be made available through the Boeing Store. Proceeds from every purchase will go to support America's troops and their families through the USO of Illinois.